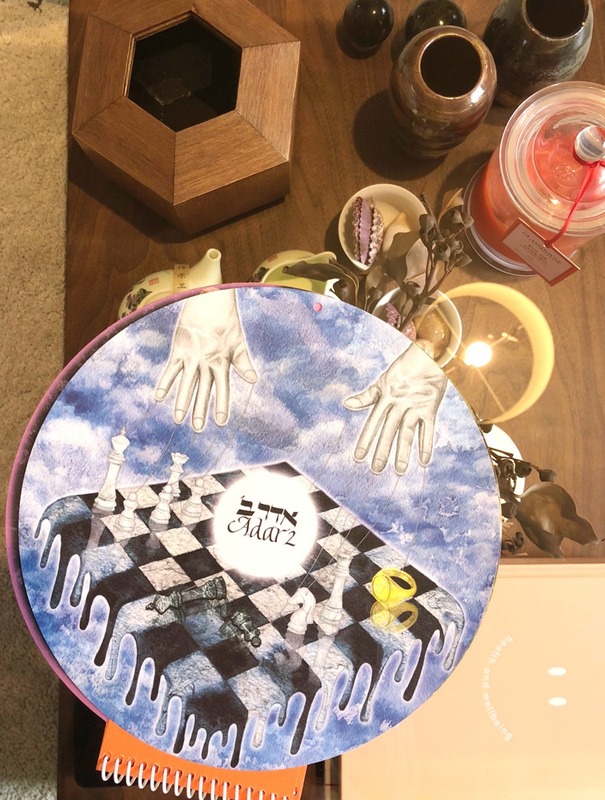 For 5779 (2018/19), I was honoured to paint this artwork for the Misaviv Hebrew Circle Calender Project. This is an initiative piloted by Deuteronomy Press. 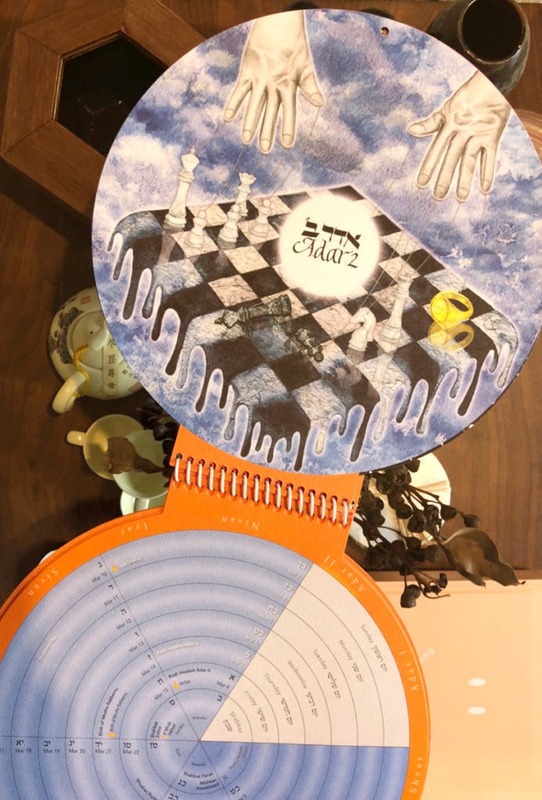 Each year, a different collection of artists are invited to create an artwork that relates to a Chag/ idea in each month of the Hebrew Lunar calendar. 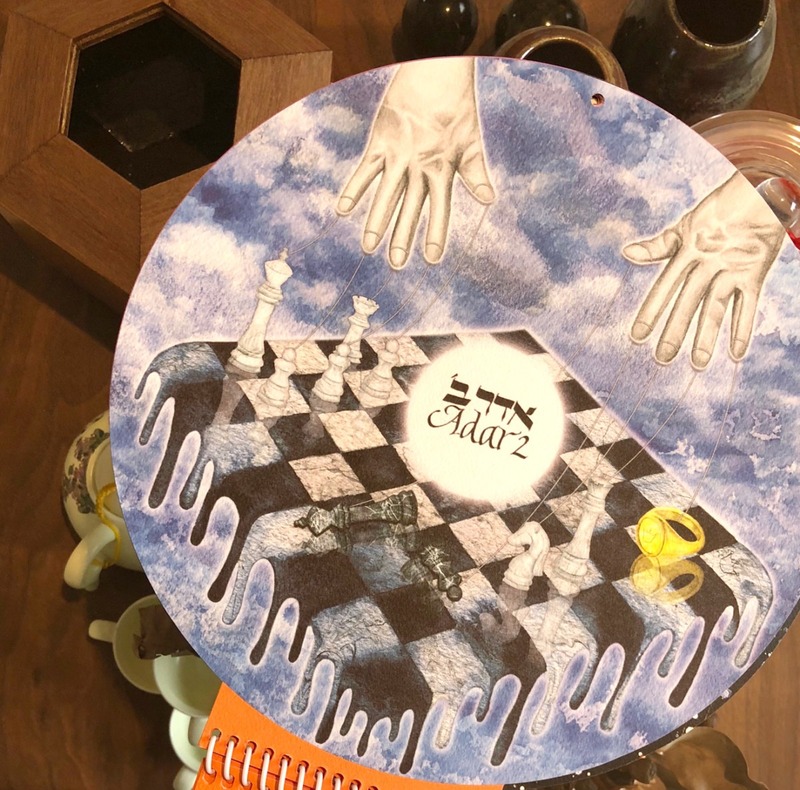 My painting for Adar II (with 5779 being a leap ‘pregnant’ year) evokes a surrealist inspired dripping chessboard. 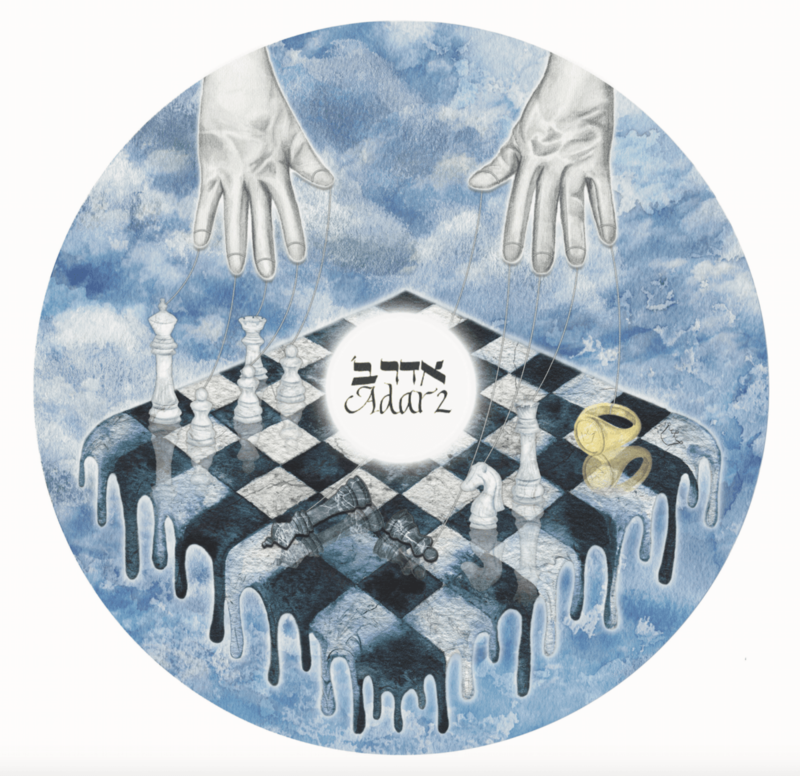 Illustrating the Purim narrative, the characters are symbolised as chess pieces. Albeit equipped with free will, they are ultimately moved and orchestrated according to God’s will (the puppeteer above). Considering and conceptualising time as a circle, the Misaviv calendar celebrates both an old and new way of seeing and reading time. It places Shabbat at the centre of the month (and by implication our lives), with the spiral trajectory turning inwards.